Protecting your home from wood-destroying insects can seem like a daunting task, but it can actually be taken care of by following these quick and easy DIY tasks. 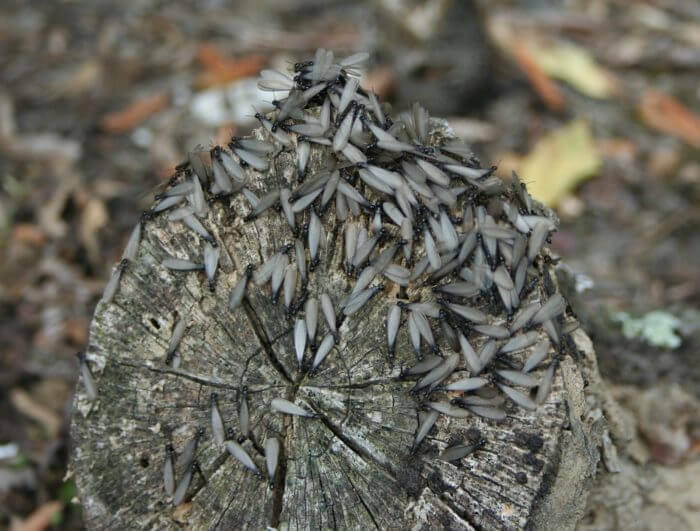 The key to preventing wood-rotting insects from infiltrating the structure of your home is to keep things dry. Be sure water is being directed away from your home through properly installed and functioning downspouts and gutters. Maintain a dry environment in your attic as well to prevent attracting pests. Leaky faucets, AC units and water pipes on the outside of your home should be repaired as quickly as possible. Rotted material of any kind is a thriving environment for wood-rotting pests. You want to keep these materials away from your home and get rid of it all together. Any rotted roof shingles need to be replaced immediately. In addition, remove any rotted tree stumps from your property. It’s recommended to store firewood at least 20 feet away from your home and at least 5 inches off the ground. Pests can get in your home from anywhere. Even in plain sight like your windows. Make sure to replace weather stripping and fix loose mortar around foundation and windows. It’s recommended that homeowners get a termite inspection every one to three years. If this seems excessive to you, keep a watchful eye out for rotting elements on your property and follow the preventative tips above. Chappell Roofing can assist you with maintain the outside of your home. We specialize in fascia and soffits, small construction jobs, brick work, ventialtion, stucco, and roofing repairs/replacements.